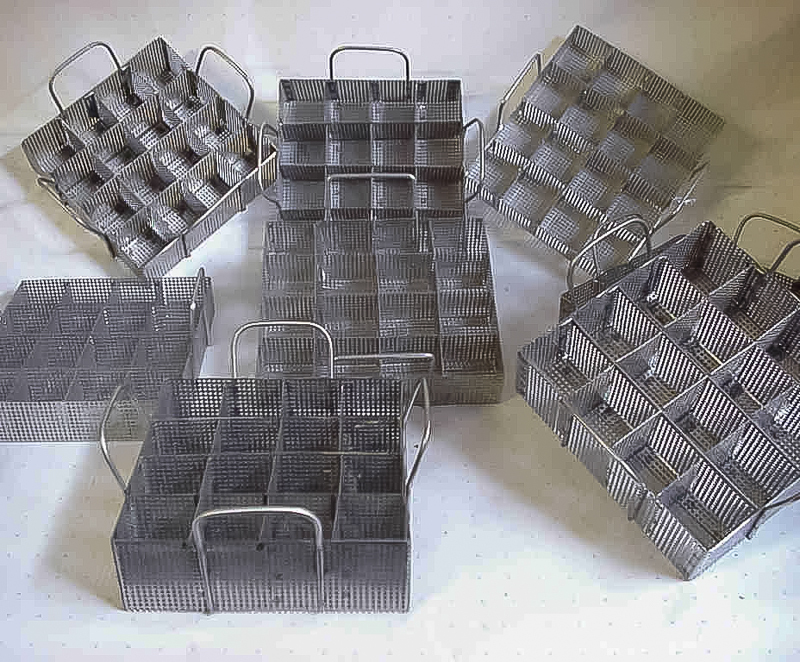 Wire Cloth/Mesh and perforated dipping and parts cleaning baskets. 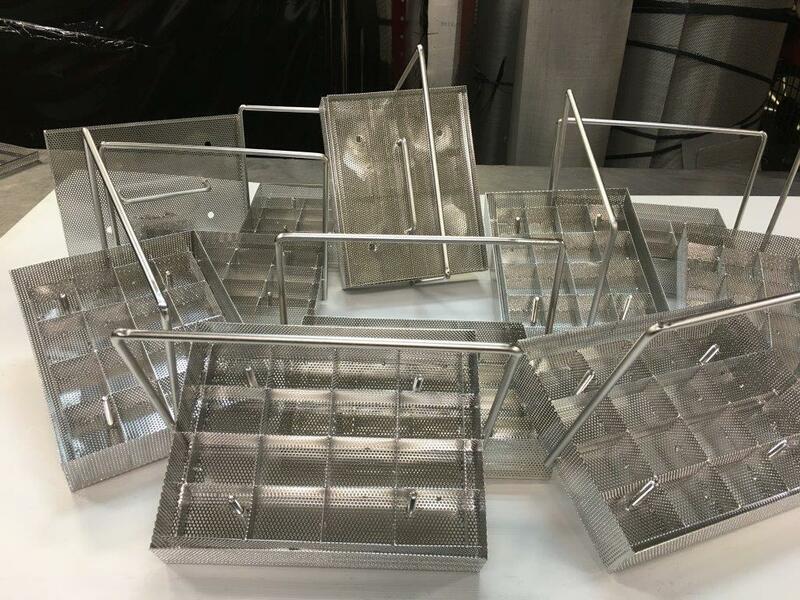 We manufacture and custom fabricate to any specification, size, shape and material. 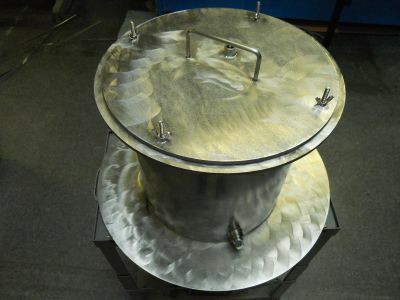 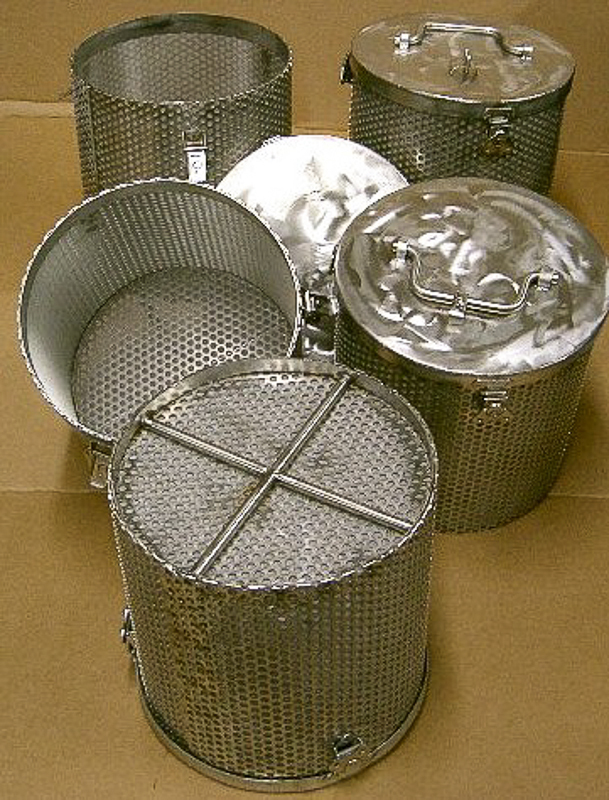 Designed to fit most standard ultrasonic cleaners, these baskets are good for degreasing, rinsing parts, cleaning, plating, heating, finishing parts and material handling. 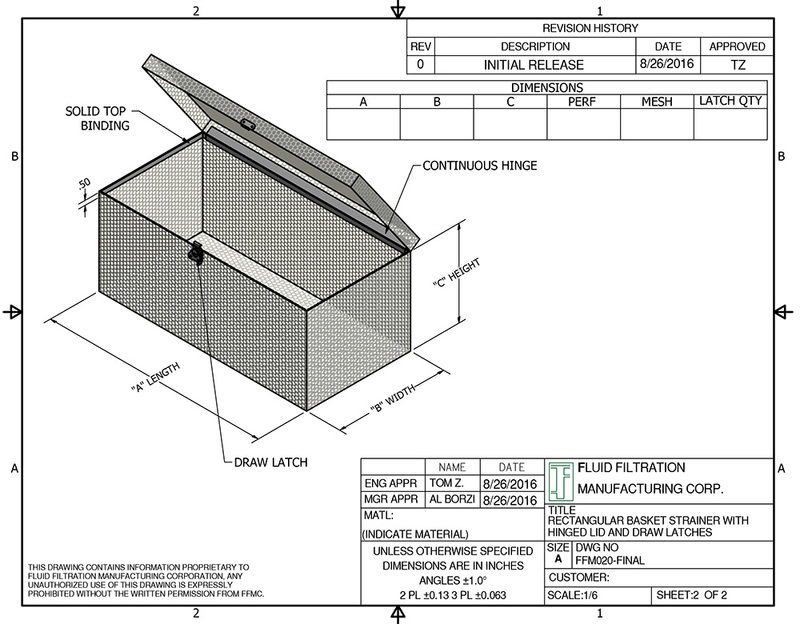 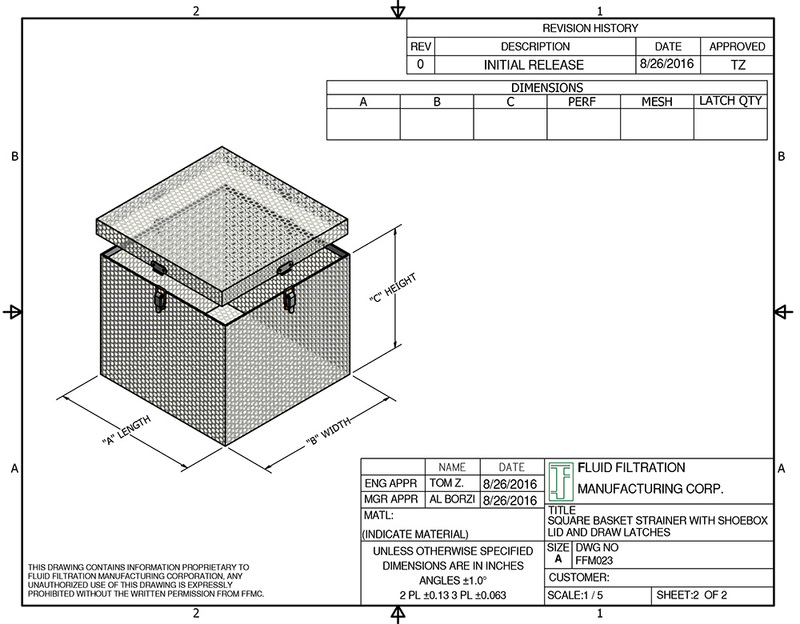 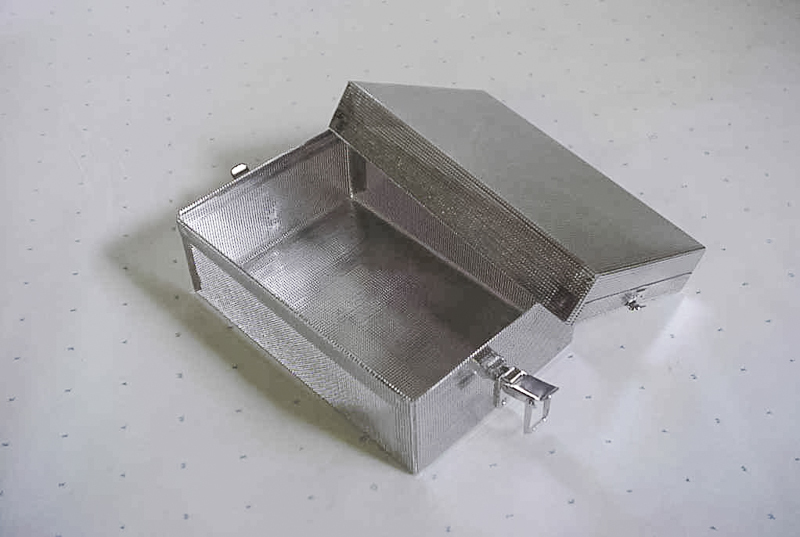 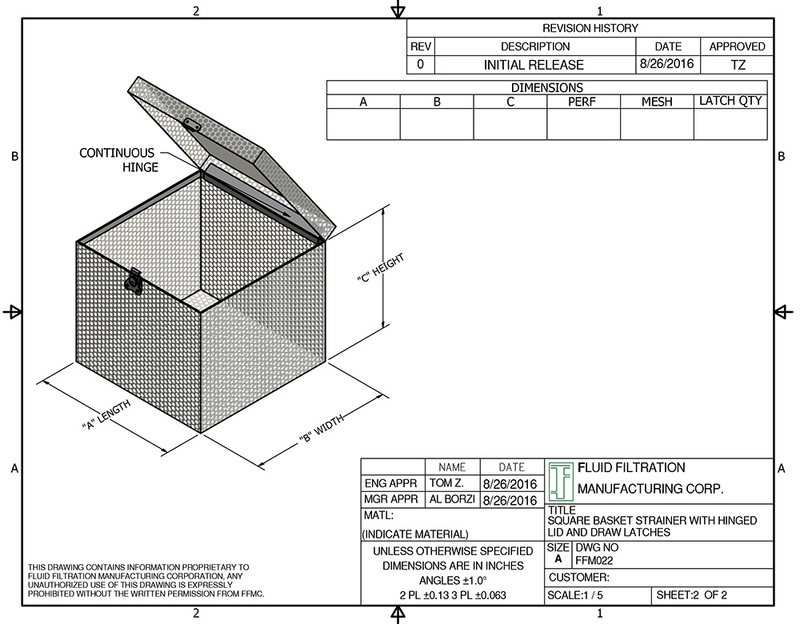 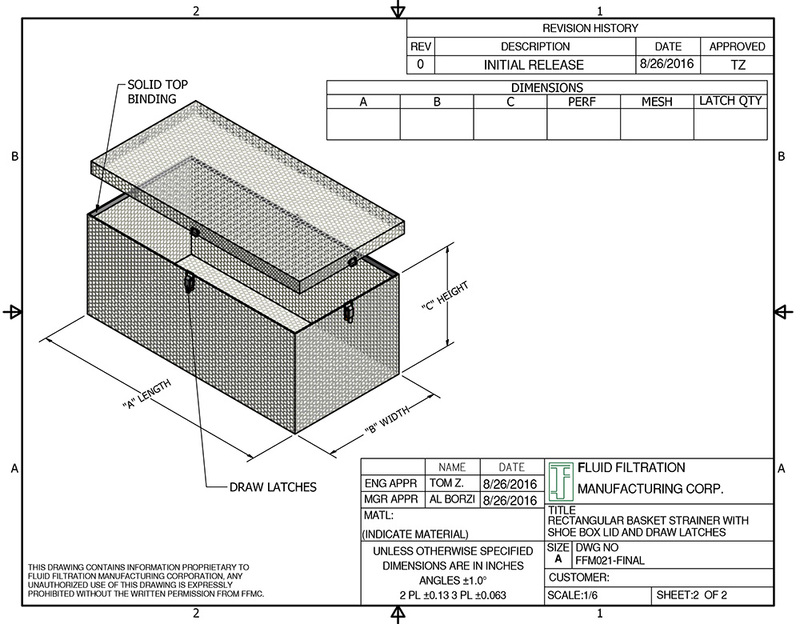 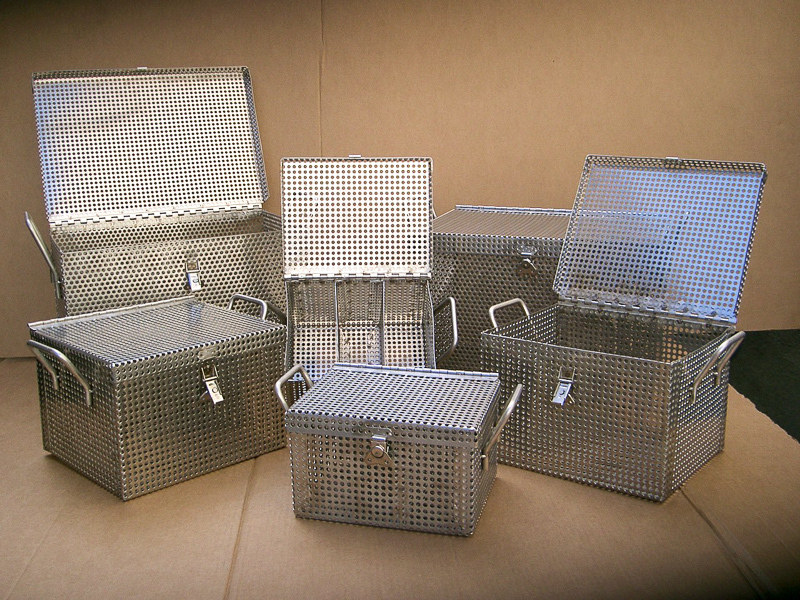 Our standard baskets are available in perforated material, wire cloth or expanded metal. 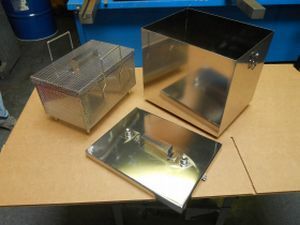 Fluid Filtration will offer you quick turnaround, prototype for your approval and quantities of 1 to 1000 or more. 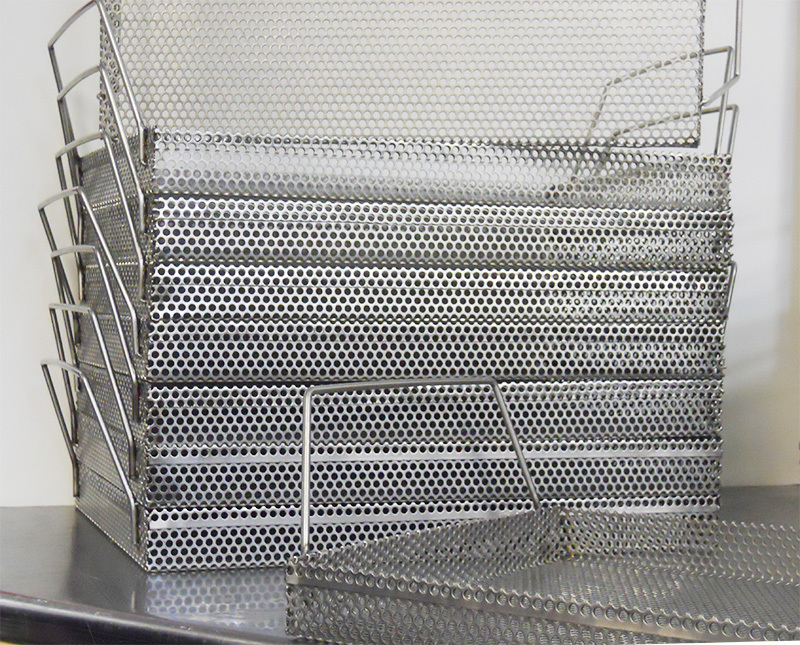 Cleaning and degreasing wire baskets. 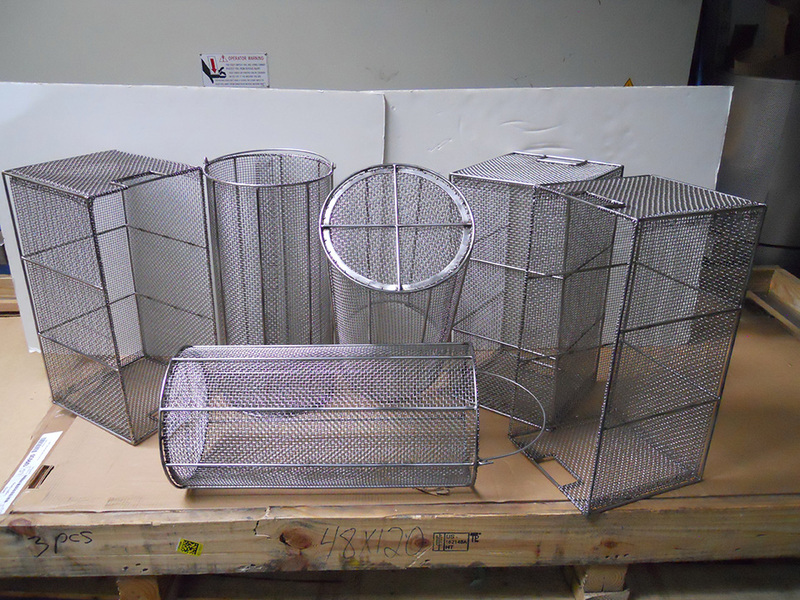 Mesh Cylendrical and Box Type Mesh Baskets. 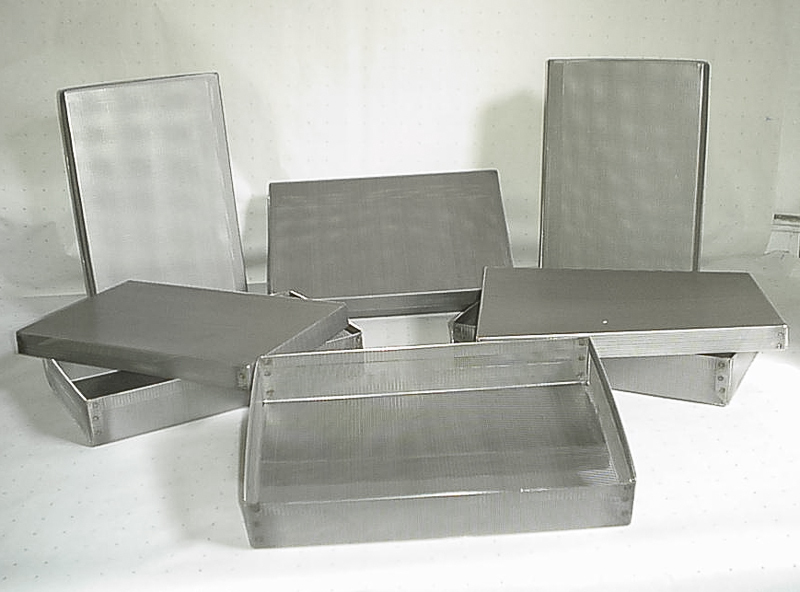 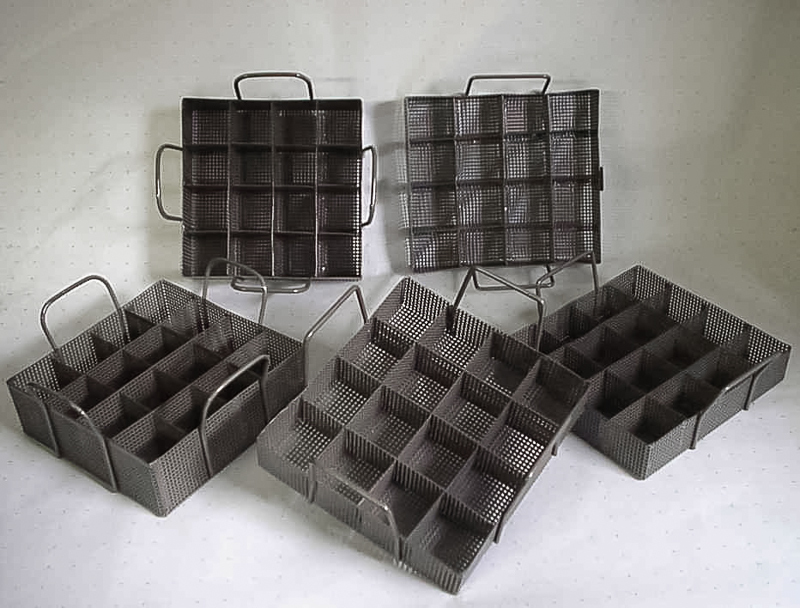 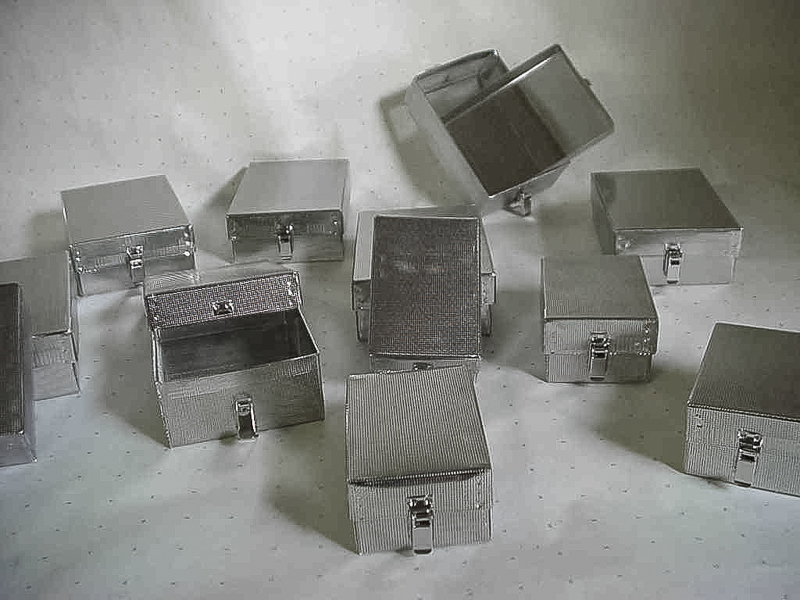 Stackable perforated Staineless Steel trays with angled handle. 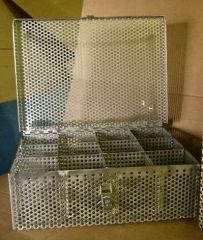 Stainless Steel 315 Perforated Boxtype Baskets with Piano Hinge and Camluck Closure bottom support and all binded top. 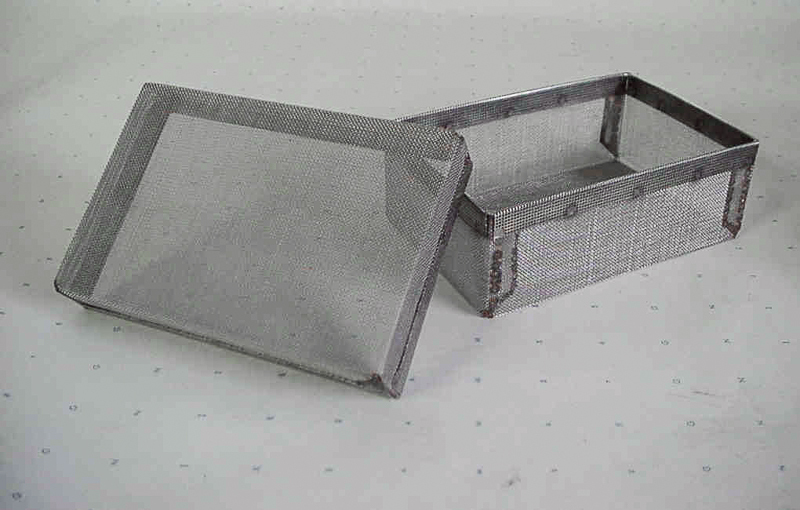 Stainless steel 316L- 30 x 30 mesh cleaning baskets with cover. 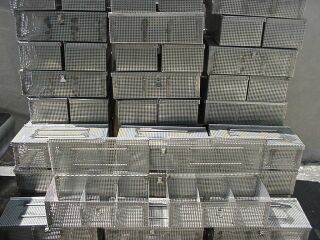 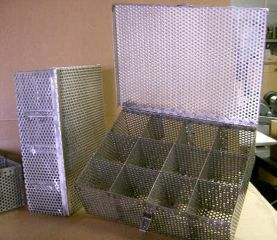 Stainless steel 316L baskets 1/32" perforated with covers and cam locks. 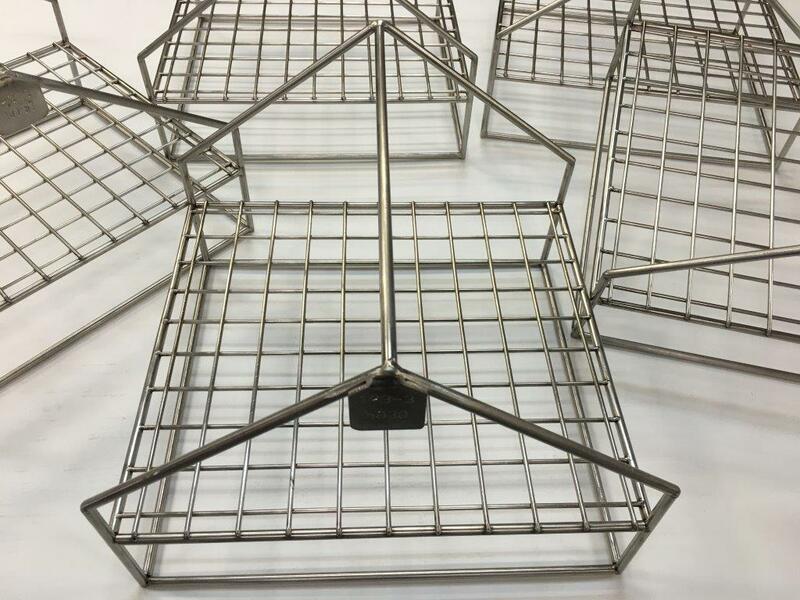 Stainless steel degreasing baskets with 16 compartments and angled handles for easy stacking. 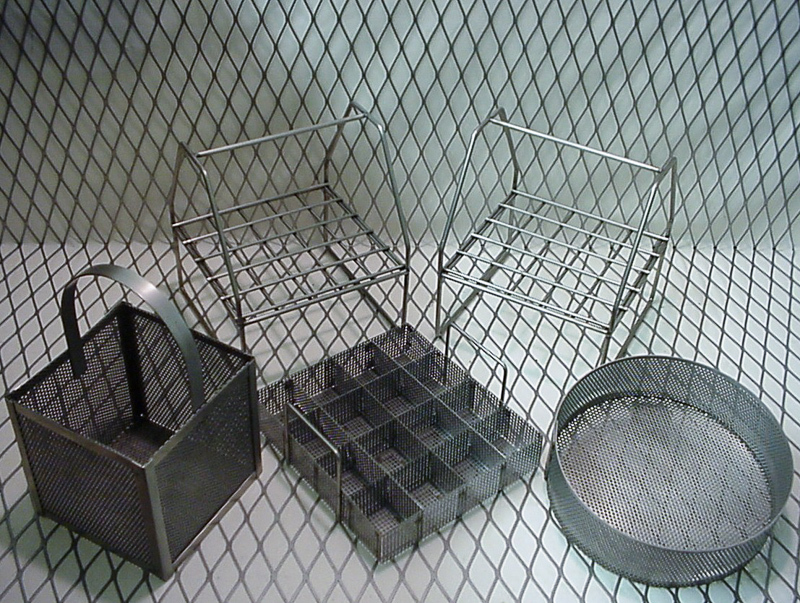 Stainless steel 316L- 30 x 30 mesh lined cleaning baskets. 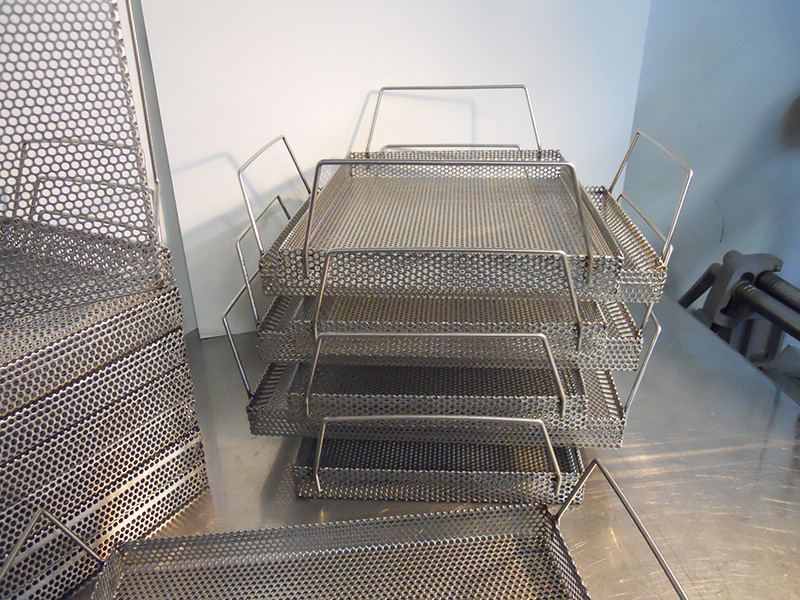 Stainless steel 316 perforated cleaning baskets with cover. 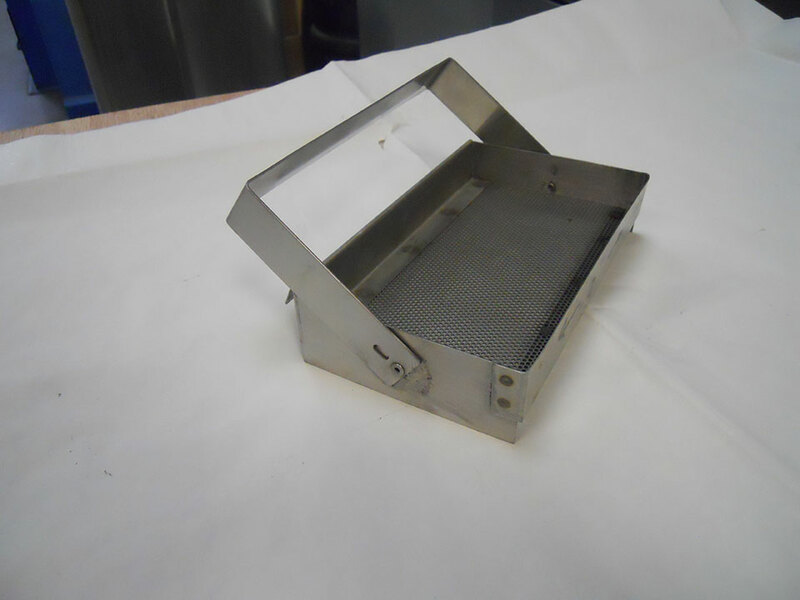 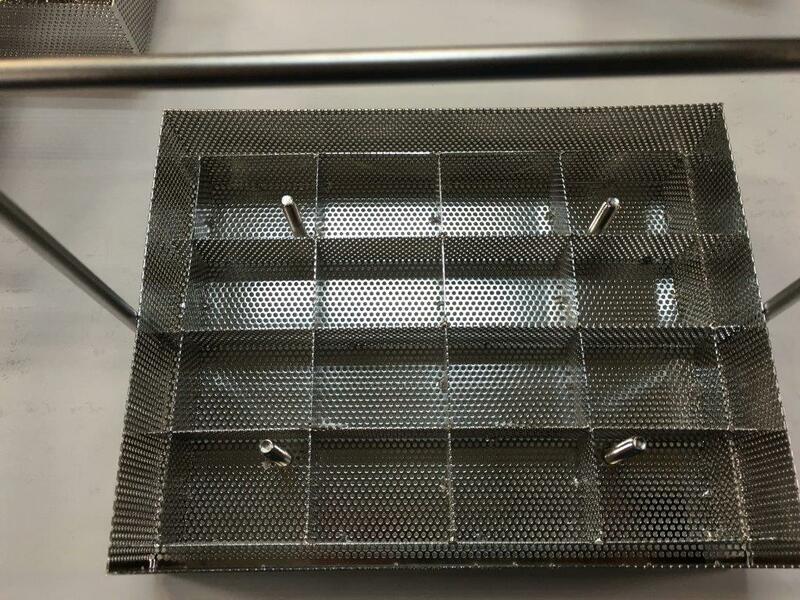 Stainless steel 316 perforated cleaning baskets with wing nuts closure. 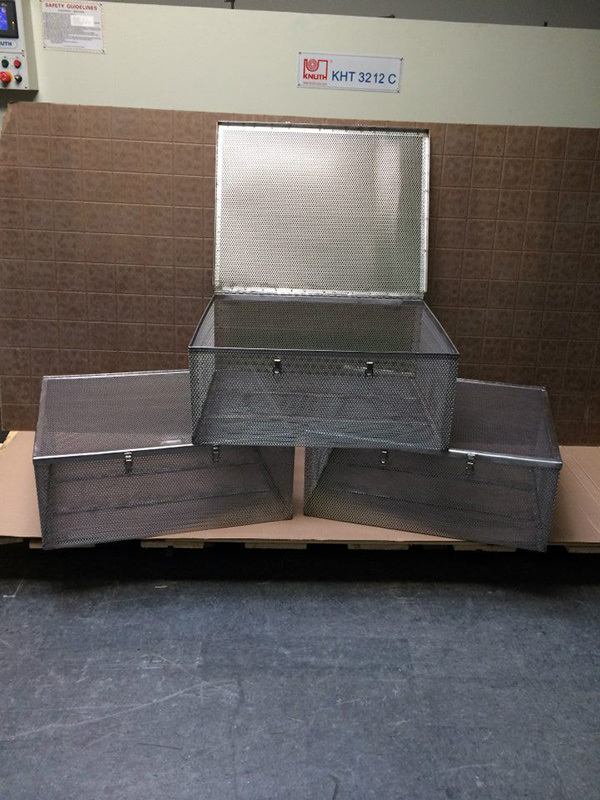 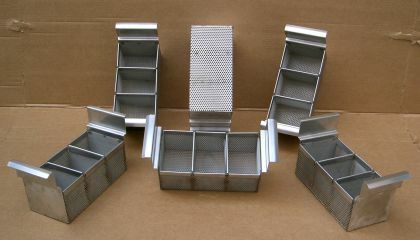 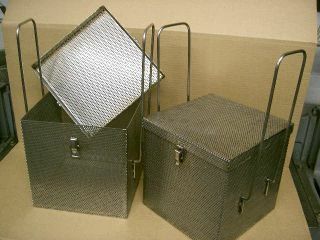 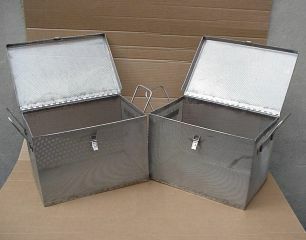 Stainless steel 316 perforated cleaning baskets with continuous hinge, compartments, cover and stanless steel camlock. 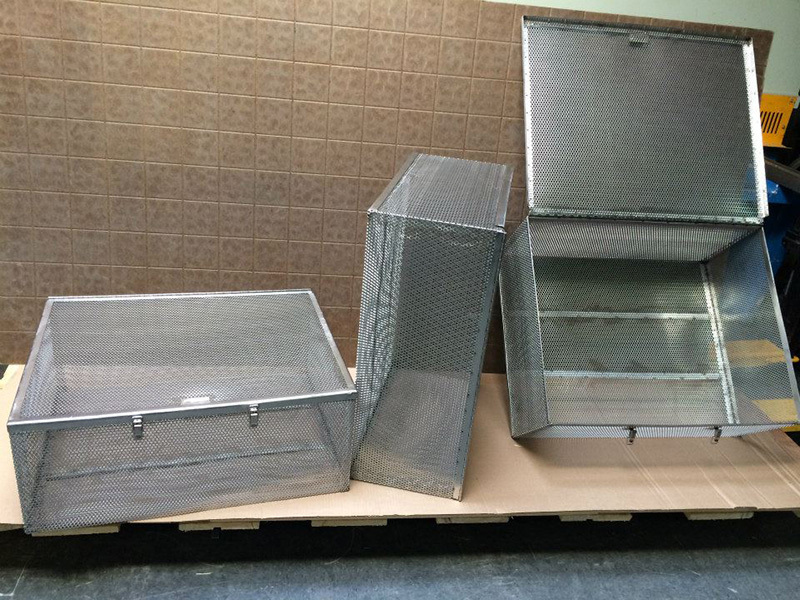 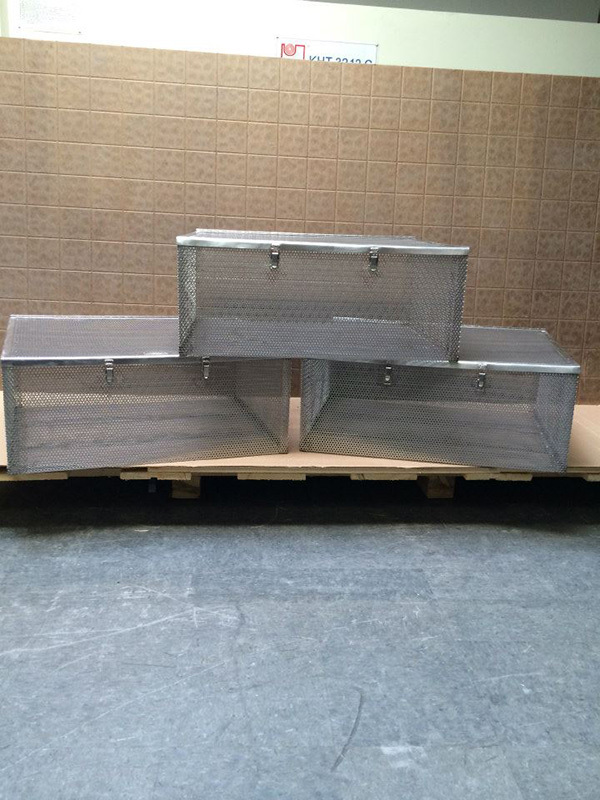 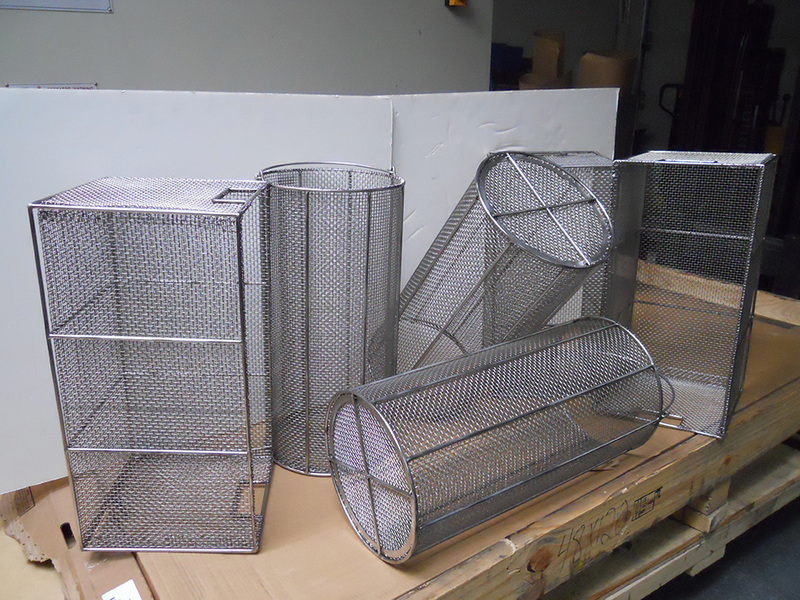 Stainless steel 316 cylindrical cleaning baskets with mesh liner and solid covers. 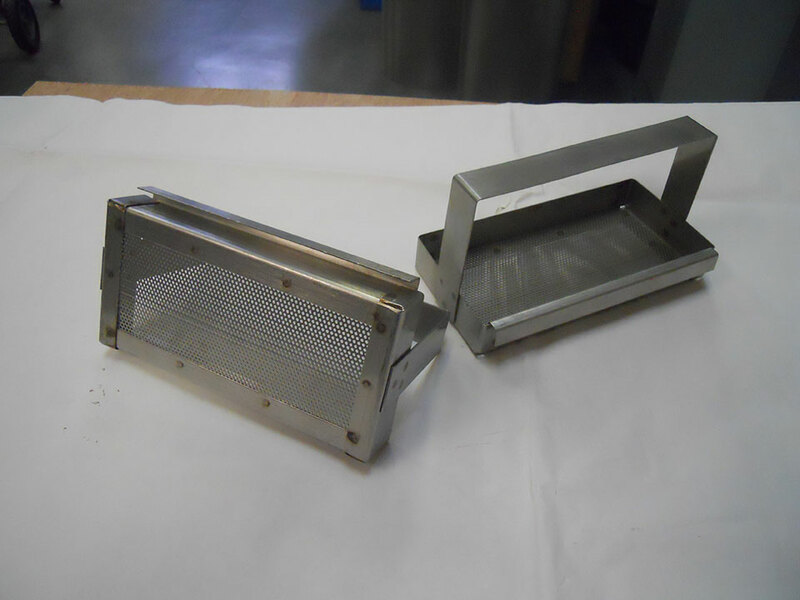 Stainless steel 316L- 1/4" perforated cleaning baskets with inside dividers, perforated cover and stainless steel cam lock. 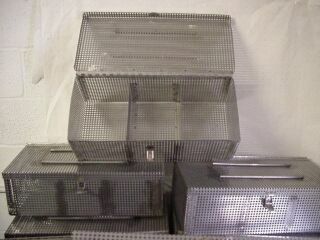 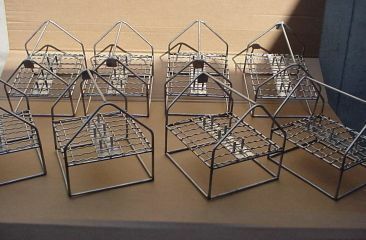 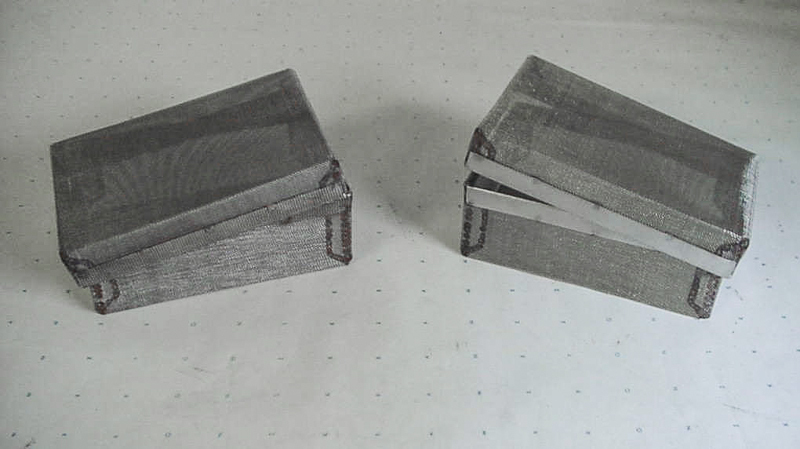 Large size hinged cover baskets. 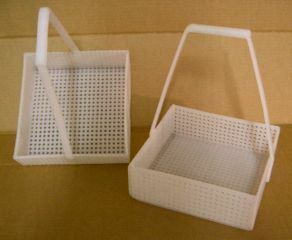 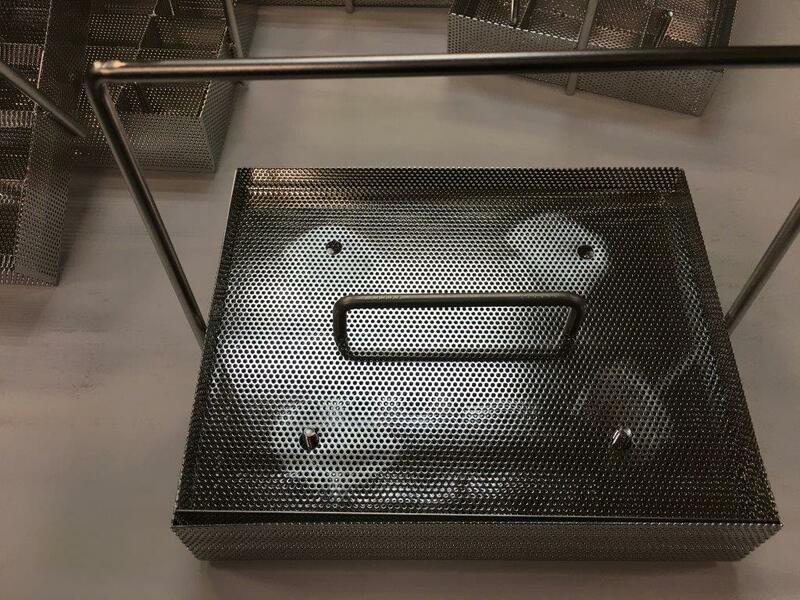 Cleaning baskets with removeable covers. 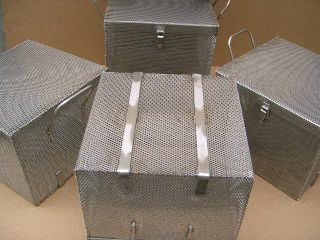 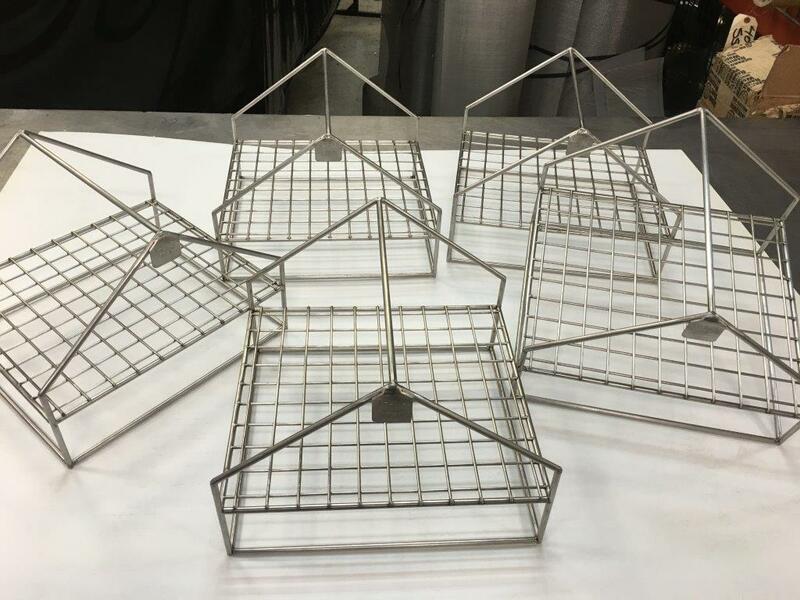 Stainless steel perforated cleaning baskets with perforated covers. 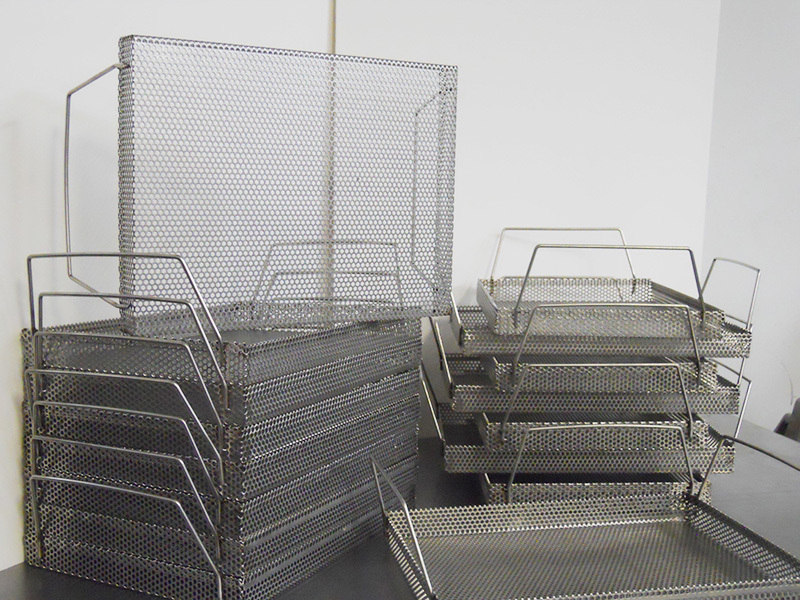 Solid cleaning and degreasing baskets with removable perforated insert. 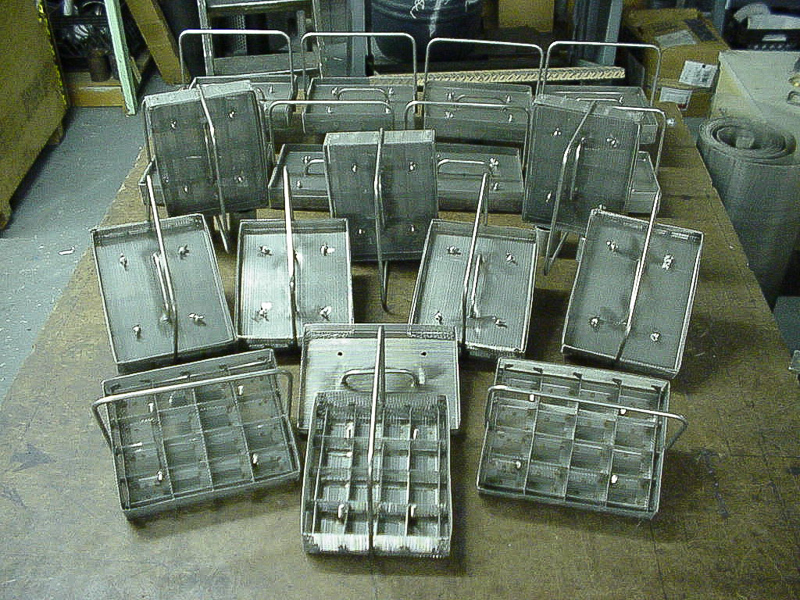 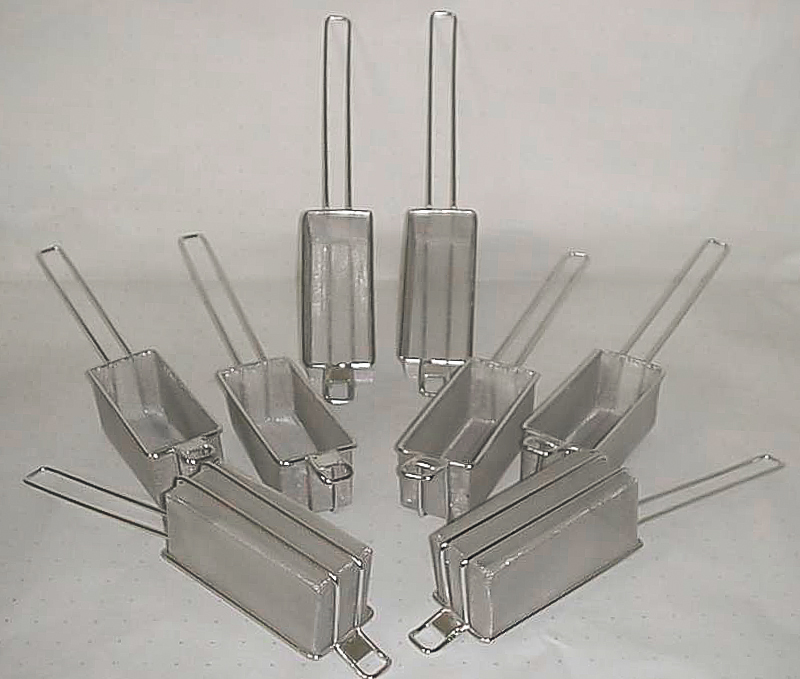 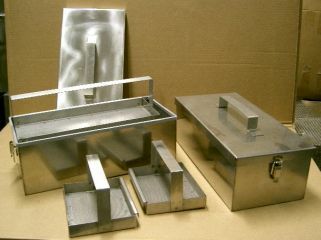 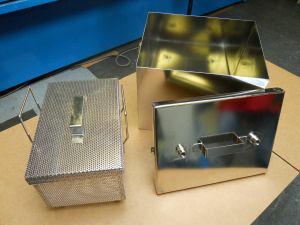 Electro polished parts cleaning baskets and housing for sanitary use. 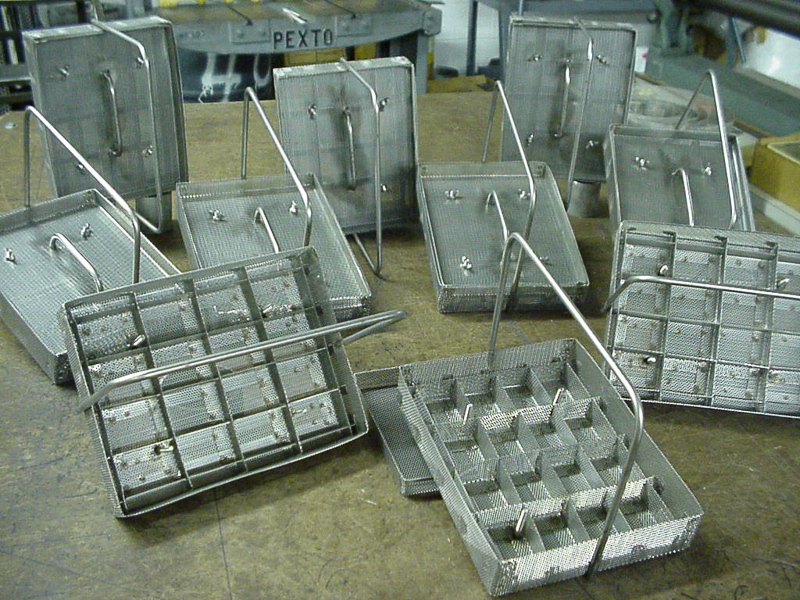 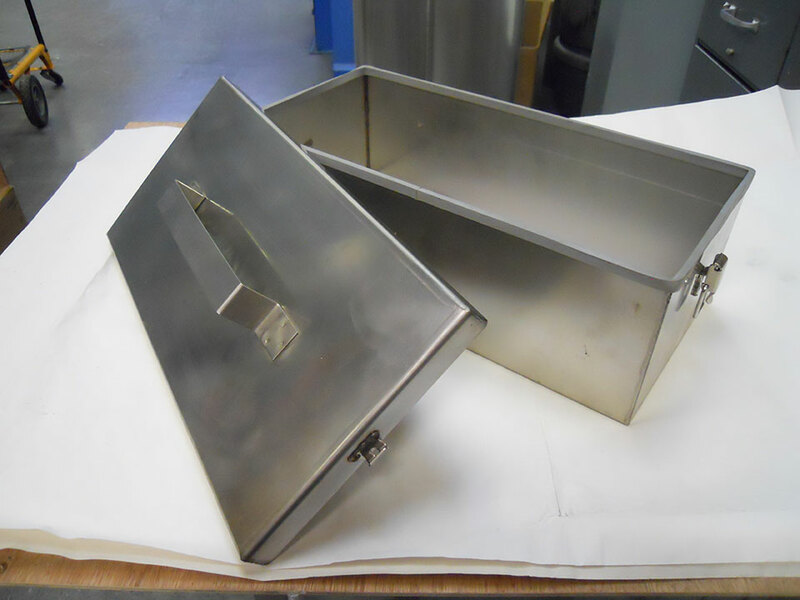 Stainless Steel 316 housing for cleaning baskets.